This Article contains the interview of Japan Robot Association`s Administration Department General Manager Mr. Shigeaki Yanai. The Japanese robot market is forecasted to go beyond 6 trillion yen in sales in 2025. Amidst growing need for cutting edge industrial robots, Japanese manufacturers are working to enhance their competitiveness in service robots, where they have actually made major advances in useful applications. The Japanese robot industry will continue to develop, and progressively work together with cutting edge component producers, while likewise engaging in more international alliances. 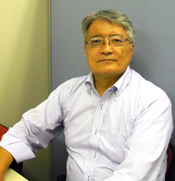 This Article contains the interview of Japan Robot Association`s Administration Department General Manager Mr. Shigeaki Yanai. Mr.Yanai actively spearheads the association`s day to day activities and well versed with Japan`s Robot Manufacturers challenges. He is more passionate on Service robots Market that he mentions Human and Robot Colloboration is must for future. Please offer a major point why and when robotic advancements occurred rapidly in japan. The Aichi Expo was a big turning point in 2005, when Japanese service robots were widely applauded both inside and outside of Japan. Ever since, the Japanese government has actually supported R&D for service robotics with the objective of realizing well-being and economic growth. Additional catering to world commercial need was a big aspect, For decades, Japan has kept high competence in developing innovative industrial robotics technologies. The percentage of Japanese commercial robots in the worldwide market has actually grown steadily, generally in response to the enhanced need for industrial usage. Today Japanese commercial robots are approximated to represent a share of approximately 30 percent of the world market. Thirdly, Domestic issues such as Faced with a fast increase in aging population integrated with the decrease in birth rate, a growing amount of individuals look to advance intelligent robotics, not merely as ideal for industrial usage, however, also for service applications for people to support housework and nursing care. Japanese industrial robots are approximated to represent a share of approximately 50 % of the world market. How about service robots. What are the supporting programs for it. The service robot market will certainly grow up to 65 billion yen in 2020. Japan has actually kept its high patents rate and achieved fast development in terms of safety technologies and speech recognition, in addition to innovations associated with affinity to human beings. 60 % of the demand is being catered by imported service robots. The ministry investing the biggest spending plan for robotics R&D is the Ministry of Economics, Trade and Industry (METI). There are 2 large scale continuous projects funded by METI which focuses on next generation intelligent robots and living assistance robots. Large-scale nationwide projects have been proactively done, including innovative research- research institutes, universities and intensive companies through a cross disciplinary approach. It is very much anticipated that enhanced service robotics which are capable of realizing various functions will result. A number of robotics professionals in both the personal and public sectors acknowledge the over-riding need for security verification as a major agenda for speeding up commercialization and to facilitate the spread of service robots into the general society. Service robots are viewed as necessary devices for providing individuals with a high quality of life and social well-being. With this view, the development of nursing and surgery robots developed for elderly individuals is strongly expected. The need for surgery robots is estimated to rise to 24 billion yen in 2020; that is, about 9.6 times bigger than that of 2010. Even faster development could be observed in the field of power-assisted robotics whose demand is estimated to get up to 17.5 billion yen in 2020, which is about 22.7 times bigger than that of the year 2010. In 2010 and 2011, lots of research reports gave out its predictions of the future market development of Japanese service robots. It was approximated that the service robotic industry will certainly grow up to 65 billion yen in 2020. In 2010, the demand for service robotics had enhanced to 11.3 billion yen, which was about 73.8 % gain from the previous year. The factors behind such development were activated by the increased demand for robotics with the goal of assisting household chores as well as living assistance. Undoubtedly, Japan is a frontrunner for the growth of its aging population as it is anticipated that by 2050, 39 % of all Japanese will be above 65 years of age. Under such conditions, the need for nursing care and humanitarian assistance robots will continue to increase in the coming years. Unlike industrial robots, there continues to be a significant problem about ways to deal with the absence of advanced innovations to guarantee safety through establishing security standardization. Service robots plainly vary from their industrial-use counterparts in lots of ways. They are very mobile, and are becoming more common in daily life. Safety is a major problem for robots that communicate with individuals. For instance, the motions needed to go up and down stairs are basic enough for people, but position an exceptionally difficult challenge for robots in term counter knowledge. Similarly, while robots are adept at accurate repetition, they only have restricted powers of judgment when different activities have to be performed randomly. Responsive and Counter reinforced applications are the key to success in the service robots sector. "In Japan, they focus on hardware design, with a tendency for companies to develop robots in numerous configurations. Nevertheless, in japan from item creation to commercialization it takes time. How large is export market for Japanese Robot producers. Apart from having 30 percent market share in industrial robots, Japanese companies relatively score high on Component exports. Japan with its highly established component industry enjoys specific benefits in areas like weight decrease, production engineering and miniaturization. Japanese technology and expertise created for commercial robots should apply to service robots. Exports of industrial robots from Japan has enhanced in the last 5 years by 80 percent due to the global market growth of industrial robots. As closing remarks, how would you describe Robots for humans and how humans can make future with robots. In the past, the dream was to make the robots same as the human thinking, robots with very same "human mind" and judgment speicfications. Sadly, it is not possible. However, with human and robot partnership, the possibilities are infinite. It opens for mass production, top quality services, such as nursing care, security, cleaning, reception to partnership, there are lots of areas where increases wonderfully for productiveness and efficiency. Not limited to disaster location of rescue operations, or work in the sector where human can not reach. So the future is plainly about how we can make the future with robots and how we can make robots to support human. The Japan Robot Association (JARA) is a trade association made up of companies in Japan that develop and manufacture robot technology. It was formed in 1971 as the Industrial Robot Conversazione. The association was reorganized and renamed as the Japan Industrial Robot Association (JIRA) in 1972, and was formally incorporated in 1973. The name of the association was changed again in 1994 to its current one in order to accommodate non-industrial robots such as "personal robots." Its headquarters are in Tokyo. The Japan Robot Association aims to advance the growth of the robot manufacturing industry by encouraging research and development on robots and related system products, and promoting the use of robot technology in industry and society. The activities of the Japan Robot Association include organizing the International Robot Exhibition (IREX) every two years in Tokyo, the Jisso Process Technology Exhibition every year, and hosting the ORiN(Open Robot interface for the Network) Forum to promote standard network access to robots and programmable machines. It is also a member of the International Federation of Robotics (IFR). Junko Nirmala is a Tokyo resident with 17 years of Professional experience in Technology and business consulting services. Her diverse background includes Advisory assignments completed for 70 plus Japanese companies on Globalization, Founder of startup company in Green Technology, conducting Training and seminars for Global Workforce in Japan and so on. Currently she is involved in Promoting Japan Robots Industry. She has authored 3 books and consistently writes for newspapers and magazines in Japan.